Highest safety - teething in babies is one of the developmental processes requiring special care and attention. During the period of teething, the best thing you can do for your baby is to provide him or her safest and top quality baby teether toys. Easy for little hands to grasp and hold with lots of textured chew friendly areas to massage tender gums so babies can self soothe while chewing, keeping them occupied in the car, their crib or stroller. There are plenty of choices in the market but the best silicone baby teething toys is a top pick for parents. 1. This baby bell teeth is used environmental protection material, to ensure 100% accord with national infant toys toy safety standards. 2. This product train baby movements ability, make the baby to get physical exercise in happiness. 3. Through train baby products various aspects ability, such as hand - eye coordination, logical thinking ability, achieve the purpose of the inspired baby' s intelligence. 4. Products through play different parts, train baby movements ability, make the baby to get physical exercise in happiness. 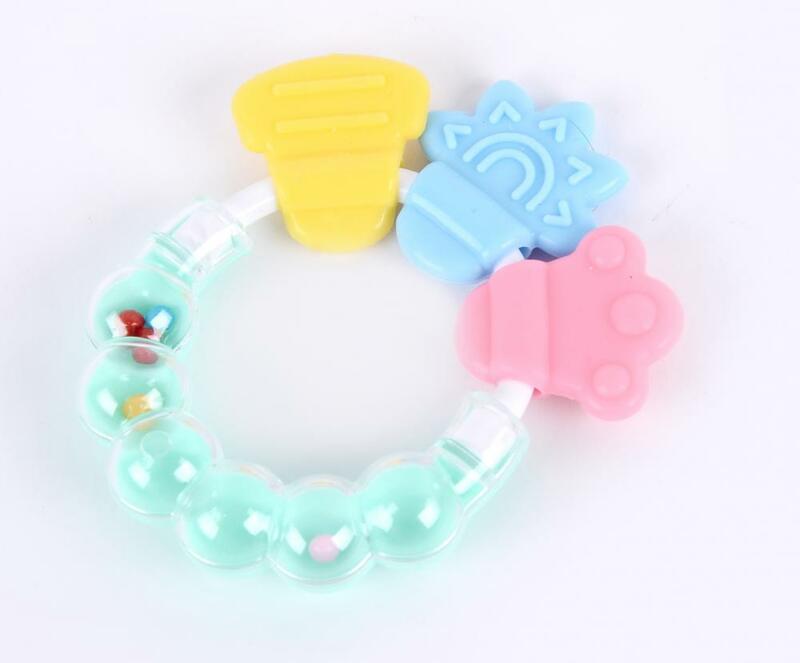 Looking for ideal Ice Bite Soother Ring Teether Manufacturer & supplier ? We have a wide selection at great prices to help you get creative. All the Baby Rattle and Teether Caterpillar are quality guaranteed. We are China Origin Factory of Rattle Teeth with Bell. If you have any question, please feel free to contact us.